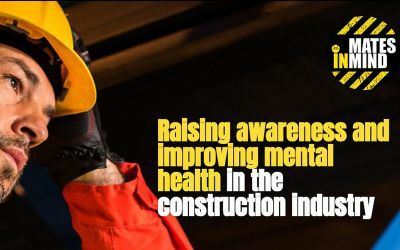 “Mates in Mind aims to raise awareness, address the stigma of poor mental health and improve positive mental wellbeing in the UK construction industry. Mates in Mind has an ambitious goal – to reach 100,000 workers in its first year and by 2025 to have reached 75% of the construction industry”. Part of the work done has been to foster a spirit of openness, breaking down barriers and reduce the stigma of mental health in the industry. It is therefore disappointing that within the insurance industry they are raising barriers, in the shape of higher travel insurance premiums for people with mental health issues, a scenario that could encourage less openness. Money Expert recently revealed details of a survey showing that people who disclose mental health conditions face travel insurance premium hikes of up to 2,000%. “2,000 people were polled on behalf of the Money and Mental Health Policy Institute (MMHPI), a charity. Their findings showed that almost half of those with mental health problems never disclose their illness to their travel insurer”.